Kim Byrd sits in her second story West Nashville apartment next to her longtime partner James who is months away from dying of cancer. Next week both of them will be homeless. The couple has lived in the Park West at Hillwood for the last three years on a Section 8 Housing vouchers provided by MDHA. That vouchers covers $450 of their $650 a month rent. Both Kim and James are disabled and live on a $800 a month stipend. But last year new owners came in and bought the complex Kim and James are living in. Global Asset Alternatives LLC based out of Atlanta, has told the couple and two other families that they will no longer be accepting those housing vouchers. Kim and James could stay in their apartment at a new rental rate of $1,050 a month, something they can’t afford on a $800 disability check. “It’s hard, it’s crushed me. I hope no one has to go through this, I really do. And I know we aren’t the only ones,” Kim says holding back tears. Kim has been trying for weeks to find a new place for her and James to live. Three years ago the couple was living in a homeless camp at Ft. Negley before the city came in and leveled that property. The two were fortunate enough to get a housing voucher and then get off a waiting list and into the apartment they’re in now. Their eviction notice is for October 31. “We have nowhere else to go,” Kim says. 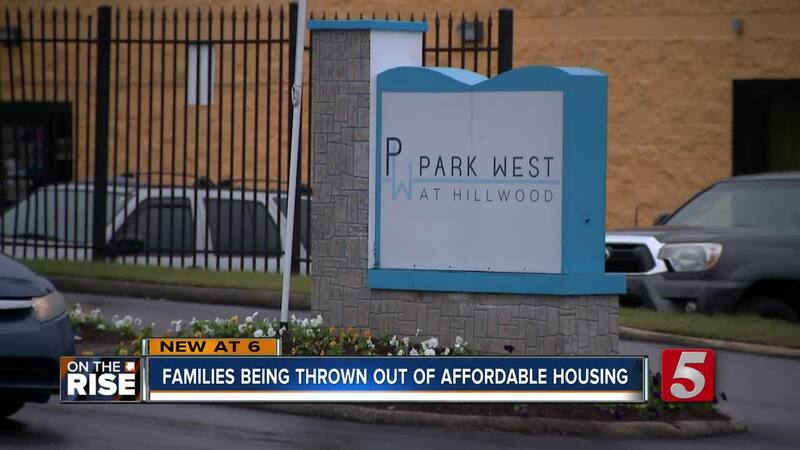 Homeless advocates say it’s an issue facing dozens of other families in Nashville right now where affordable housing is either non-existent or incredibly hard to find. “It’s heartbreaking but it’s not unique. It’s happening all the time. We’ve helped a lot of folks find housing but then this happens and they end up back on the streets. It’s a really awful revolving door,” Lauren Plumber says. NewsChannel 5 reached out to Global Asset Alternative LLC but at the time this story was published did not received a comment.